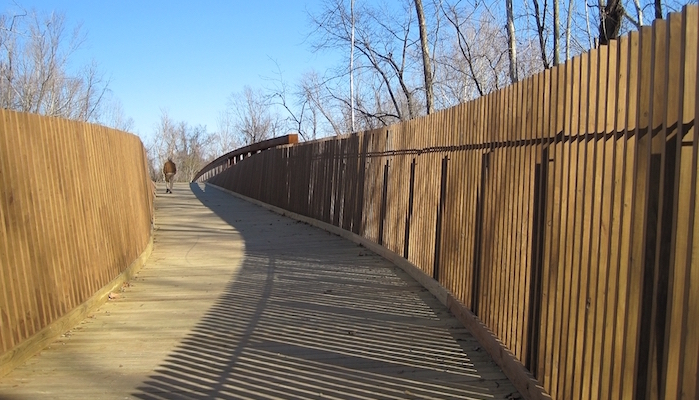 On the south end of Shelby Farms Park, the Wolf River Greenway meets up with the Germantown Greenway to form a network of paved bike paths perfect for a long or short run. As an out and back (with some loop options around water features) the two greenways make up an approximately 9 mile route. It’s a longer route, but it remains pretty flat throughout, and the never ending water views make for pleasantly distracting scenery. The route can be shortened by simply turning around before you reach Germantown. Add-On. Many miles of trails in Shelby Farms Park, including a popular 5k cross-country course at the northern end of the park.